A manicure is a beauty treatment for your fingernails and hands. In its simplest form a manicure involves shaping and filing of the nails followed by the application of nail polish. Other types of manicure may include specific treatments aimed at softening the hands and stimulating nail growth. Your nails can tell a lot about your body's internal health. 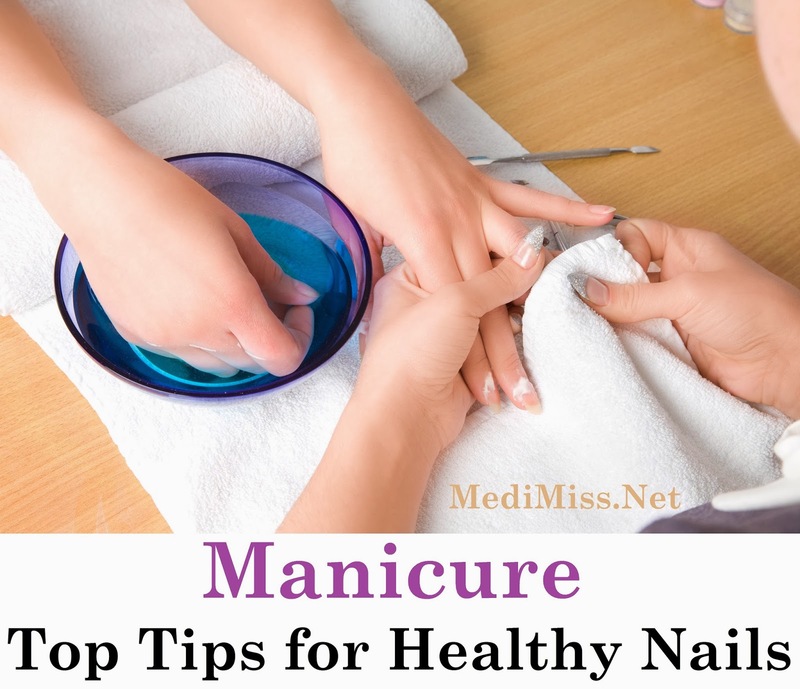 Healthy nails suggest a healthy body, while ridged; dented, unusually colored or shaped nails can be a sign of ill health. Nails protect the sensitive skin of the fingertips and toes from injury and are made up of layers of protein called keratin. There are various types of manicure available. During a regular manicure, nails are first shaped, cuticle remover or conditioner applied and then the fingertips and hands placed in warm soapy water and left to soften for about ten minutes. The hands are removed and dried before the cuticles are gently pushed back with an orange stick. Nails are buffed from cuticle to tip and then lotion applied to the entire hand. Some manicurists will spend some time massages the lotion into the hands. All traces of oils will be removed before applying polish. Polish will include a base coat followed by two or three coats of your chosen color, and then finished of with a top coat. If having a French manicure, the tips of nail are painted white and when dry the entire nail is painted with translucent shell pink polish. A French manicure is elegant and is suitable for both day and evening. Paraffin wax is warmed and the hands dipped repeatedly in the warmed liquid until a thick coating is formed. The hands are then wrapped in plastic film and covered with a towel to retain the warmth. Hands remain wrapped for approximately 15 minutes. After the towel, plastic and paraffin wax is removed, the manicure continues in the normal way. A paraffin wax manicure conditions and moisturizes the skin and is beneficial if your hands are sore, stressed or tired or of you just feel like being pampered. Hot oil is used to soften the cuticles before being cleaned and neatened. This treatment is popular with men seeking a manicure and is recommended if you have extremely dry hands or nails. When going for a manicure ensure that the working area is clean and that all tools are properly sanitized. New tools such as orange sticks, emery boards and clean towels should be used. The use of un-sterilized tools can transmit viral infections. nails in tip top condition. Along with a regular manicure, a high protein diet can help your nails grow stronger and healthier. o Keeping nails clean and dry - this helps to keep bacteria and other infectious organisms from collecting under the nail. o Keeping the use of nail polish remover to a minimum as it can dry out your nails and cuticles.